This is part of what I was wearing today. 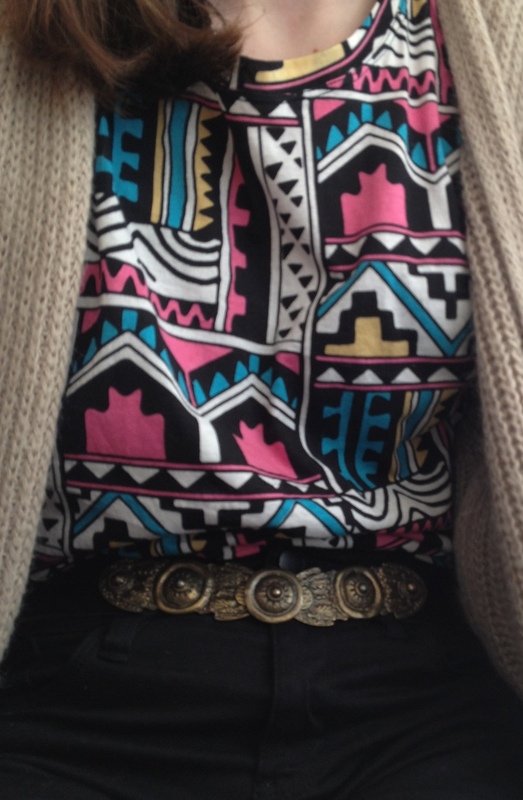 T-shirt with Aztec print from Motel, chunky knit cardigan from h&m, the belt was my moms but now it’s mine and the black jeans is from Lindex. Spring is finally here! !